"Am I dreaming or is Aston Merrygold really standing at the end of my bed?" I asked confused. He was wearing things similar to what he wore yesterday except his jumper actually fitted him. "Oh its real." He said sitting down next to Sophie at the end of my bed. I smiled and he smiled back. "Drink up your hot chocolate then!" Sophie grinned. I took a sip and licked my lips. "The best hot chocolate ever. 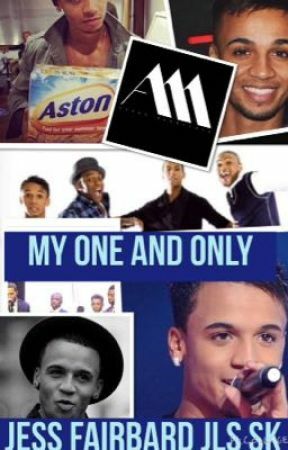 Thanks Aston." I said as he winked and said "Well I don&apos;t like to brag but I do make the best hot chocolates." I smiled and chuckled. After I had finished my drink I felt a lot better. Sophie and Aston were in the living room. I rubbed my eyes to see Sophie standing next to me. "Hi. You ok?" She asked smiling and winking. "Shocked but ok thanks." I replied. "Aston has invited us out for tea tonight. I think he likes you." I couldn&apos;t believe my ears. "Pah! Aston likes me. In my dreams." I said. "Get up and dressed, dress casual." Sophie said walking out to her room. I got up and opened the wardrobe got out a pair of dark blue trousers and a T-shirt with Lanzerote written on it with a palm tree made of jewels and my favourite grey hoodie. I put on my black converses and walked out my room. I don&apos;t wear make up, partley because my won&apos;t let me when I&apos;m at home and I just can&apos;t be bothered. I&apos;m not girlie, I hate dresses and only where skirts when I have to or when its a fancy night out. Anyway, I walked out my room to see Sophie sitting next to Aston, chatting away, but when I came in they stopped. "So we ready to go?" I asked smiling. "You look nice." Aston said blushing just slightly. "Thanks. So do you." I replied blushing way more than Aston. That was embarrassing. "Ok let&apos;s go." Sophie said breaking the silence.